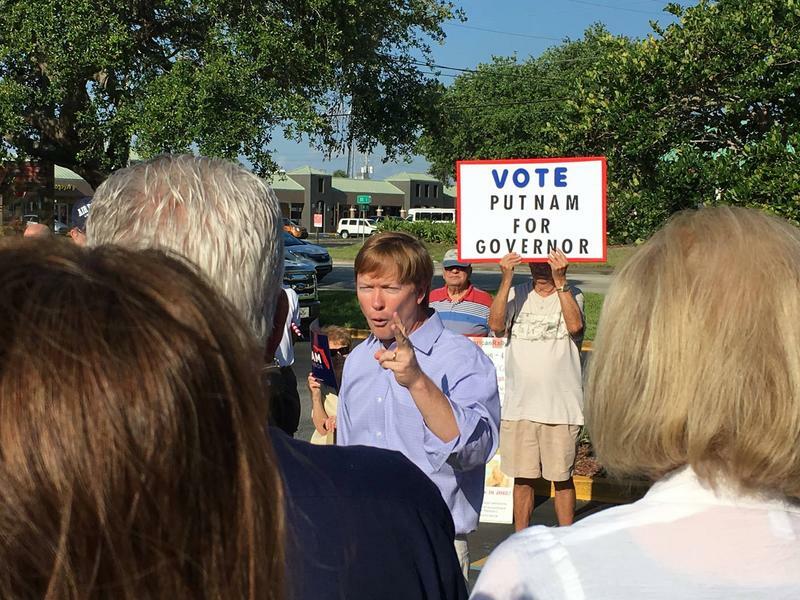 Adam Putnam campaigns in May. With the field of candidates expanding, Agriculture Commissioner Adam Putnam leads the fundraising contest in the 2018 race for governor, with more than $12.3 million in unspent cash to back his campaign. In July, Putnam's political committee, “Florida Grown,” raised nearly $1.05 million, bringing its total since early 2015 to $14.73 million. It had spent $3.88 million spent through the end of July, newly filed finance reports show. More than $750,000 in contributions hit the committee's account on the last day of July, including $250,000 from political committees tied to the Florida Chamber of Commerce, $200,000 from an Associated Industries of Florida committee, $100,000 from U.S. Sugar Corp. and $100,000 from Heritage Property & Casualty insurance company. Putnam's regular campaign account added $250,000 in July, bringing its overall total to $2.24 million, with $720,000 in expenditures. Senate Appropriations Chairman Jack Latvala of Clearwater on Friday filed paperwork to join Putnam as the second major candidate in the Republican field. Latvala raised $362,154 for his “Florida Leadership Committee” in July and had about $3.84 million available as he prepared to launch his campaign, according to the state Division of Elections. Among the large contributions to the committee in July were $50,000 from Destin real-estate firm Sterling Diversified, LLC; $25,000 from a Florida Transportation Builders Association PAC; $25,000 from The Vestcor Companies, Inc., a Jacksonville real-estate firm; $25,000 from a Florida Chamber of Commerce PAC; and $25,000 from Duke Energy, the report shows. House Speaker Richard Corcoran, a Land O' Lakes Republican who is another potential candidate, raised $818,500 for his “Watchdog PAC” in July. That brought the committee's total to $2.86 million, with only $84,000 in expenditures. The July contributions included $100,000 each from two firms of plaintiffs' attorneys --- the firm Searcy Denney Scarola Barnhart & Shipley and the firm Lytal, Reiter, Smith, Ivey & Fronrath. Among the other large contributions were $50,000 from Heritage Property & Casualty insurance company and $50,000 from Wal-Mart Stores, Inc., according to election records. A political committee tied to U.S. Rep. Ron DeSantis raised $320,000 in July, bringing the committee's total to $1.26 million, as the Palm Coast Republican contemplates entering the governor's race. The biggest contribution to the “Fund for Florida's Future” was a July 31 donation of $300,000 from the “Fighting for Florida Fund,” a super PAC that supported DeSantis' 2016 U.S. Senate campaign, which ended when incumbent Marco Rubio announced his decision to seek re-election. Through the end of July, the Fund for Florida's Future had only spent $40,222 of the $1.26 million raised, according to the state Division of Elections. In addition to the committee collecting money, DeSantis continues to raise his profile outside of his congressional district, which includes Flagler, Volusia and parts of Lake and St. Johns counties. He has a scheduled appearance on Thursday at the “Lobsterfest” dinner hosted by Palm Beach County Republicans. In the Democratic field for governor, former U.S. Rep. Gwen Graham of Tallahassee raised $138,000 for her “Our Florida” political committee in July, bringing its total to nearly $2.12 million,Â election records show. The committee had spent $443,000. The largest July contributions included $25,000 from Graham's congressional committee and $25,000 from James Lynch, a Lynn Haven construction company owner. Graham also raised $225,000 for her regular campaign account in July, bringing its total to $887,000, with almost $310,000 spent, records show. A political committee affiliated with Democratic candidate Chris King, a Winter Park businessman, raised $140,000 in July. The “Rise and Lead” committee had collected a total of $830,000 as of the end of the month, with $246,000 in expenditures, records show. The largest July contribution was $50,000 from Verde Investment, an Arizona real-estate company. King also raised $14,288 for his regular campaign account, bringing its total to $1.56 million, with $420,000 in expenditures. Tallahassee Mayor Andrew Gillum lagged his Democratic gubernatorial rivals with a slow fundraising month in July. The “Forward Florida” political committee affiliated with Gillum's campaign raised $10,000 in July, bringing its total to $697,000, with $488,000 in expenditures. Gillum raised $48,534 for his regular campaign account in July. That brought its total to $645,000, with $202,000 in expenditures. Gillum's fundraising has been hamstrung by investigations involving the city of Tallahassee, although a grand jury this week cleared the mayor in a probe into whether software purchased by the city had been improperly used for political purposes. But Gillum and other city officials have faced broader questions in recent weeks about an FBI investigation that involves city government. Gillum has said he is not a target of the investigation. A political committee tied to Miami Beach Mayor Philip Levine, another Democrat who is looking at the governor's race, raised slightly more than $500,000 in July, election records show. 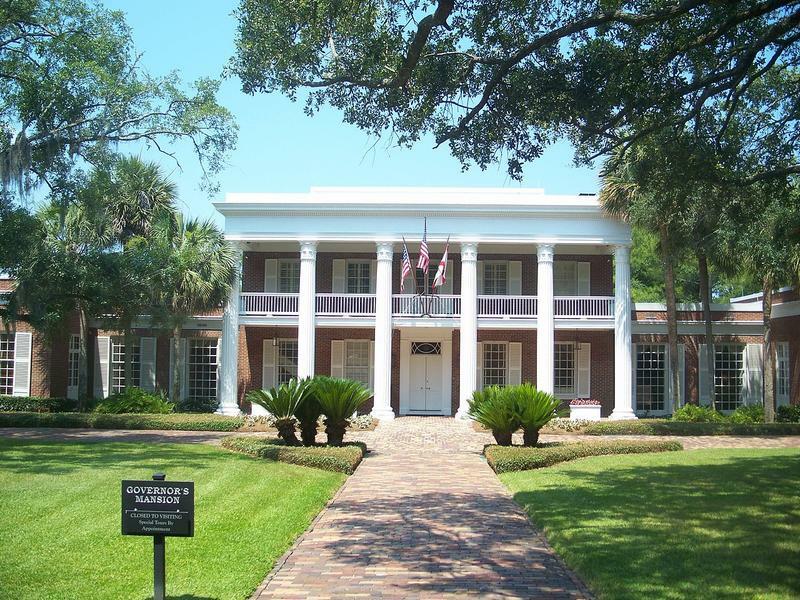 The “All About Florida” committee had raised a total of $4.53 million, with only $79,000 in expenditures. Levine gave $275,000 to the committee, with other major contributions including $50,000 from the Schlesinger law firm in Fort Lauderdale and $30,000 from Infinity Real Estate of New York. © 2017 The News Service of Florida. All rights reserved. Posting or forwarding this material without permission is prohibited. TALLAHASSEE — Former U.S. Rep. Gwen Graham entered the 2018 governor's race on Tuesday, joining a field of Democrats who hope to reclaim an office their party hasn't held in nearly two decades.